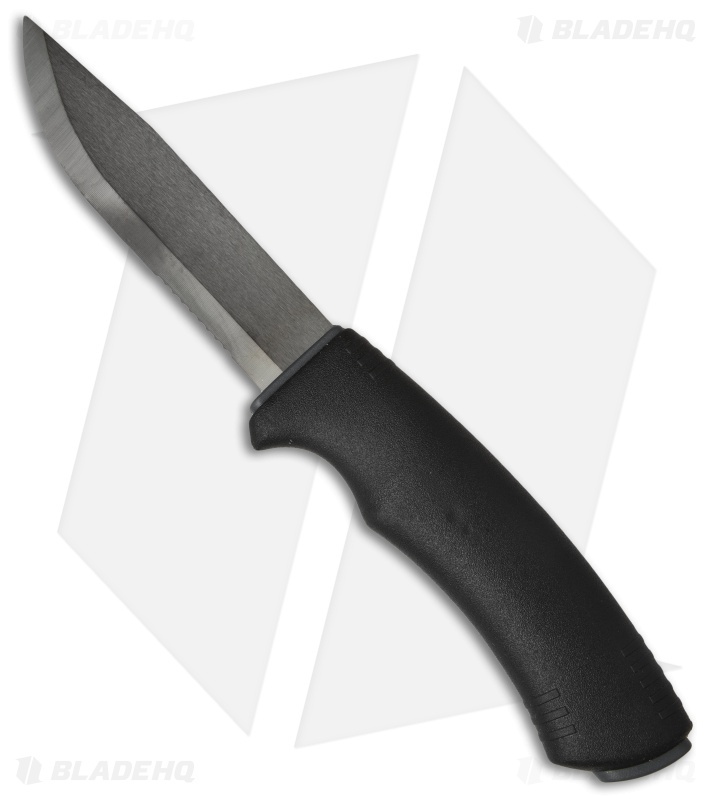 The Morakniv Tactical SRT knife has the robust construction of the Bushcraft SRT but features a MOLLE-compatible sheath. It has a 1/8" thick Sandvik stainless steel blade with a back-cut spine, which makes it great for use with the integrated ignition fire steel. 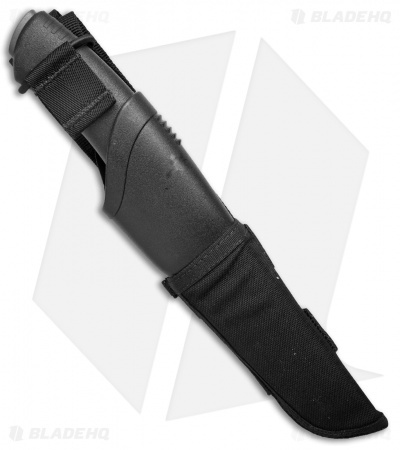 The handle has a black friction grip for comfortable performance in wet and cold conditions.